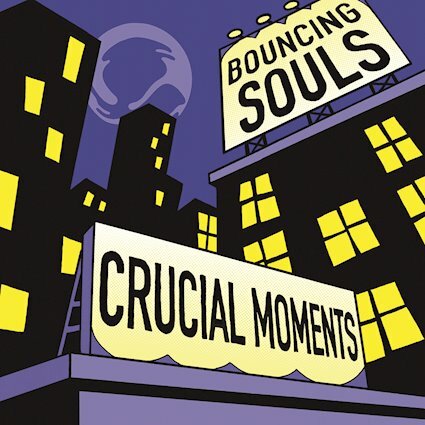 The Bouncing Souls showing no sign of slowing down with Crucial Moments as the titled track bursts out from the get go for a hyped up punk rock jam that reminds you of the legacy they have created in the past three decades. Punchy bass, classic punk chord progressions, and the core structure of an anthem track in the genre. Picking up the pace even more so with 1989 (The year the band formed) to give us an idea of what their lives were as the started what soon become a 30 year experience. There are very few bands who can keep their raw energy while finding that fresh new sound, but the variety of all things punk rock and staying in tune with their true selves, this is admirable and impressive. I have much respect for what they have achieved. 4th Avenue is a ferociously fast paced track that falls short of 2 minutes, with a rumbling bass tone that soon sees the diversity delivered in closing track Home which takes the U-turn away from the heart-racing jams and feels much more relaxed while still forcing energy into the speakers in the most perfect dose of pop-punk. What more can I say? they have packed their entire career into a 1/4 hour release, and it is exactly the reason they are still top of their game 30 years in.